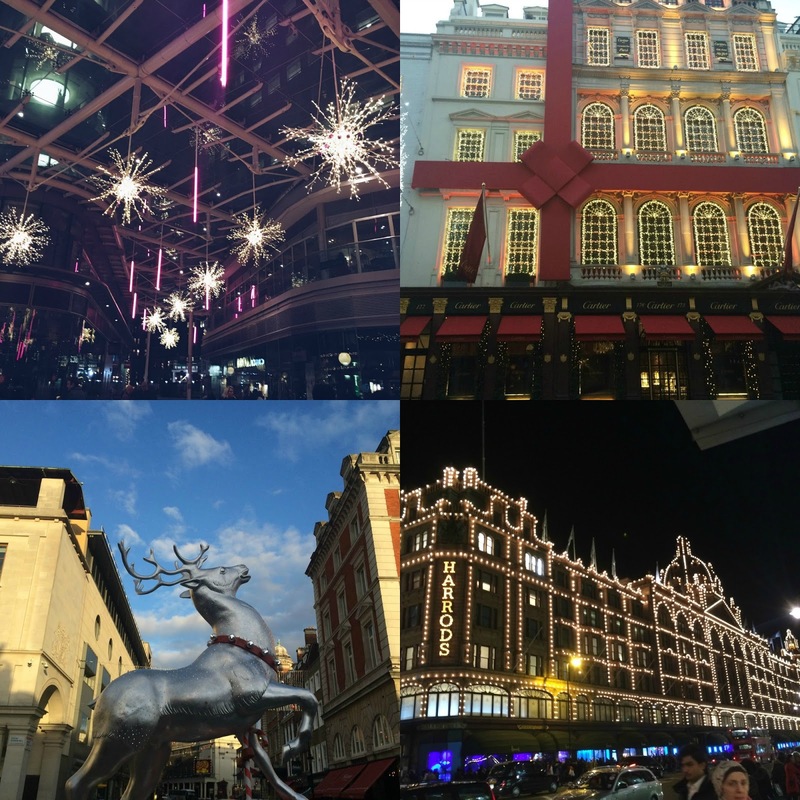 FleurDanielle: Blogmas Day 1 | An Introduction To Blogmas & 50 Things To Do This Festive Season. Blogmas Day 1 | An Introduction To Blogmas & 50 Things To Do This Festive Season. Hey everyone! Hope you are all well and Happy December to you all! The countdown to Christmas now begins. So I have been debating on whether or not to do blogmas this year. This year has been one of the best and most difficult of my life. I've had so many ups and downs and I'm just thinking we are now into the last month of 2016. Instead of dwelling on the stuff that has happened in the past that right now really doesn't matter anymore why not end this year on a positive and happy note. As you know I haven't really been blogging that much recently so what better time to get back into it than the festive season. I thought that I'd kick things off with 50 of the most festive things to do at this time of the year. Now that it is December it's totally acceptable to sing christmas songs, wrap presents, and put up all the decorations! Enjoy!! 2. Invite all your friends around and have a christmas movie marathon. Love Actually, The Holiday, Miracle on 34th Street, Polar Express and A Christmas Carol are all on my list and some of my favorite festive films. 3. Get your family together and start decorating the house whilst eating mince pies and having a christmas sing song. 4. Buy a christmas jumper or if you don't have money to buy one customise and old plain jumper and don't forget that Christmas Jumper day is on Friday 16th December 2016! You could also have a competition with your friends and family to see who creates the best ones. 5. Visit your local Christmas market. I'm visiting Winter Wonderland but also heading to Germany in a couple of weeks to see the Christmas market in the town my Grandmother grew up in and I am so excited. 6. Go ice skating, If you live in London Winter Wonderland and Somerset House are the best places! Perfect for date nights or just catching up with friends. 7. Make or buy a Christmas wreath to hang on the front door. 8. Make your own advent calendar with special treats for a loved one. 9. Bake some festive treats like mince pies or gingerbread men. 10. Make your own Christmas Cards. 11. Head into town to have a festive manicure or pedicure. 13. Grab your friends and go caroling around your local town! Not only will it make you feel good but it'll lift up other people's spirits as well! You may come across a few scrooges but hey, it's all part of the fun! 14. Plan a secret santa for your work friends or even just your own close knit group of friends. Something I love to do. 15. Create a box full of your old clothes and things you don't want and donate it to a homeless shelter. Christmas is all about giving after all. 17. Create Christmas Day menus. 18. Start to wrap any Christmas presents you have already bought. 19. Start to write out all your Christmas Cards. 21. Make a warm mug of Cinnamon Hot Chocolate. Delicious this time of year! 22. Order the Turkey for Christmas if you haven't already done so. 23. Make your own Christmas wrapping paper. 24. Create your own festive cocktail recipes. 25. 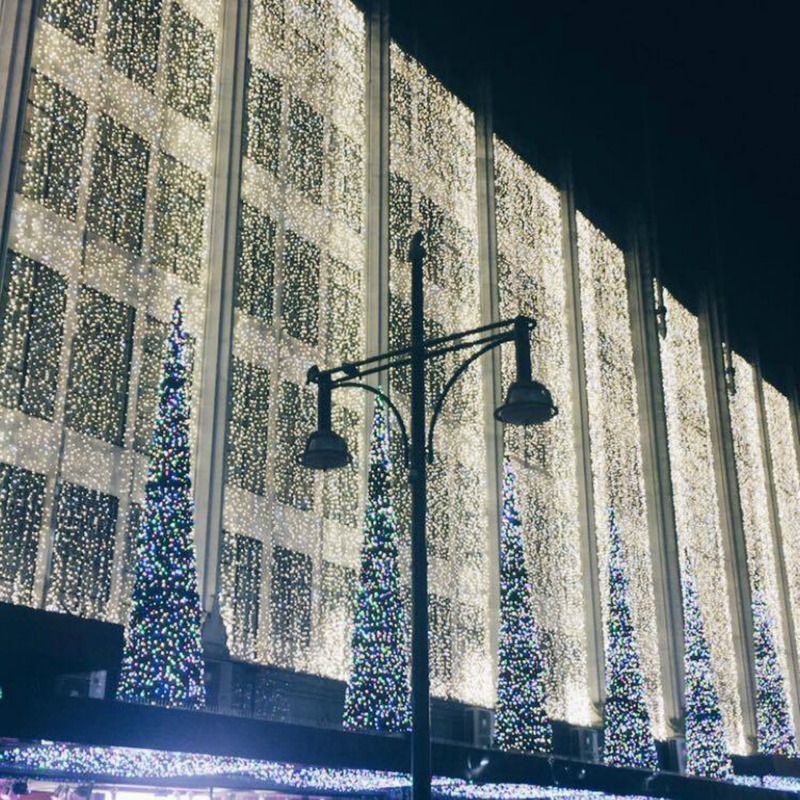 Head into your local town to see the Christmas Decorations or watch the christmas lights being switched on. 26. Have a Christmassy walk in the park. 27. Go and watch a pantomime near you. 28. Buy and hang a piece of mistletoe anywhere you choose. 29. Create your own mulled wine. This is something I'm not personally a fan of but it's a scent that reminds me of Christmas a lot. 30. Go to your local church at least one Sunday during advent. The services are always so beautiful. 31. Have young siblings/cousins/family members? Take a trip to Santa's Grotto. 33. Create your own personalized gift tags. 34. Sit in the house eating Christmas treats all day long. Mince pies, chocolate etc. 35. Make a list of game and fun things to do with your family over the festive period. 36. Head to your local garden centre and have a look at all the real Christmas trees and enjoy the incredible scent. 37. Decorate your own gingerbread house. 38. Take one photo a day during December. 39. Create your own Christmas Day breakfast. 40. Go sales shopping in a mall or online. 41. Have an 'ugly sweater party'. 42. Make your own candy cane coffee, tea or hot chocolate. 43. Put red and green m&ms in your breakfast throughout the festive season. 44. Make your own snowflakes and string them around the house. 45. Read a christmas story. 46. Create your own Christmas Stocking and fill it with treats to give to a loved one. 48. Organise a chocolate coin hunt around your house or garden. See who can find the most. 49, Go on a trip to look for the house that has the most Christmas decorations. 50. Plan your own Christmas party. There are just a few ideas of what you can do this festive season. I personally love this time of year. It's my favorite. Everything is just so magical and special and I can't wait to see what happens this Christmas. Let me know what your plans are for the festive season and if this post has given you ideas of what you can do.